An ISO 9001:2008 Certified Company & Govt. 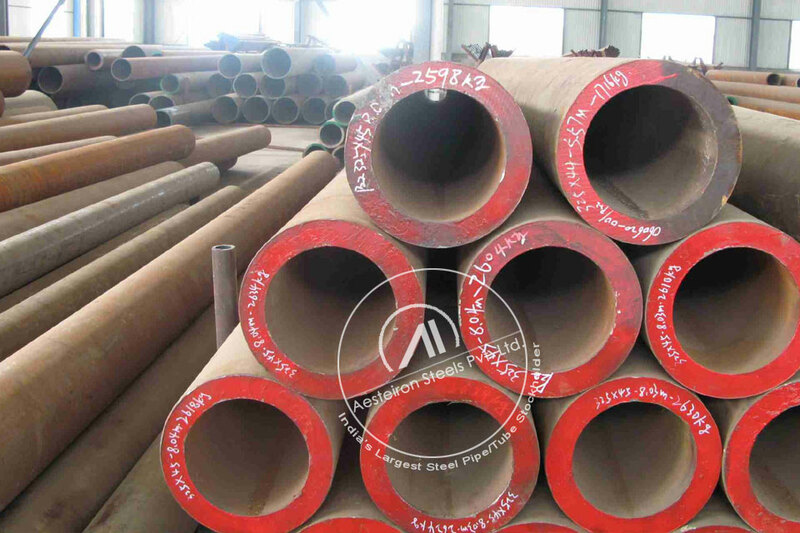 of India recognised Export House, Aesteiron is a well known supplier of ASTM A335/ASME SA335 P5, P9, P11, P22, P91 grade alloy steel pipes and alloy steel tubes. As one of the largest exporter & suppliers of alloy steel pipes and alloy steel tubes to power plants across the world, we stock a widest inventory of high quality ASTM A/ASME SA335 Grade P5, P9, P11, P22, and P91 pipes in all sizes & schedules. On demand, we can also supply high quality alloy steel pipes and tubes with black painting, anti-corrosion oil and galvanised finish to Industrial Boilers, Power Plants, Nuclear Plants etc. 1/8" ≤ NPS ≤ 1 1/2"
1/8" ≤ NPS ≤ 2 1/2" , All T/D ratios. 1 1/2 < NPS ≤ 4"
4" < NPS ≤ 8"
8" < NPS ≤ 12"